Alison Walsh first began cooking as a way to stretch her post-college paycheck, and her love of cooking grew. In 2014, she combined her love of food and books into Alison’s Wonderland Recipes (WonderlandRecipes.com), a food blog dedicated to book-inspired recipes. She guest writes for Real Life at Home and her recipes have been featured on MuggleNet, the number one Harry Potter fan website. She lives in Des Plaines, Illinois. "Alison sets the table with comfort and nostalgia and a side of insight into why food is important in our fiction. The recipes are perfect for teatime with friends or curled up with a good book, sneaking bites between turning the pages." "I love books and I love to cook. This cookbook is a dream come true with all of its recipes based on so many of my favorite stories. I've made many of the recipes and I can attest that they are delicious! This cookbook has so many tips and tricks, so a novice cook can learn to take her skills to the next level and impress her geeky friends at her next literary gathering. The Big Apple Hand Pies are a must-make!" "An amazing, deliciously sweet book that will brighten the tea time of every book lover. . . . A must-have in any book lovers’ collection right between the classics and the cookbooks." 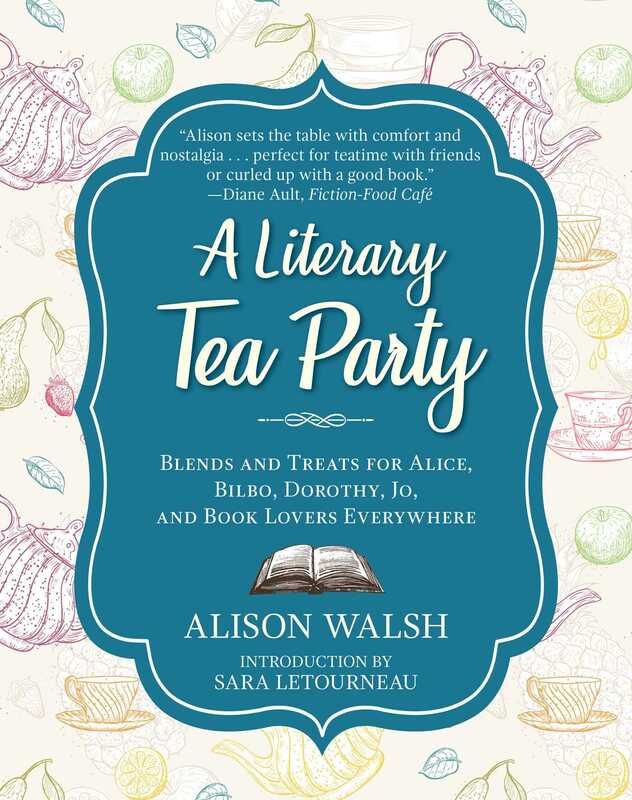 "I absolutely love the concept behind this book – a literary tea party. Reading the blurb of this book made me seriously consider throwing a themed tea party just so I could show off all these great recipes!" "[This] lovely book will be a delightful companion for those who love children’s books and teatime . . . a fun way to get kids cooking."